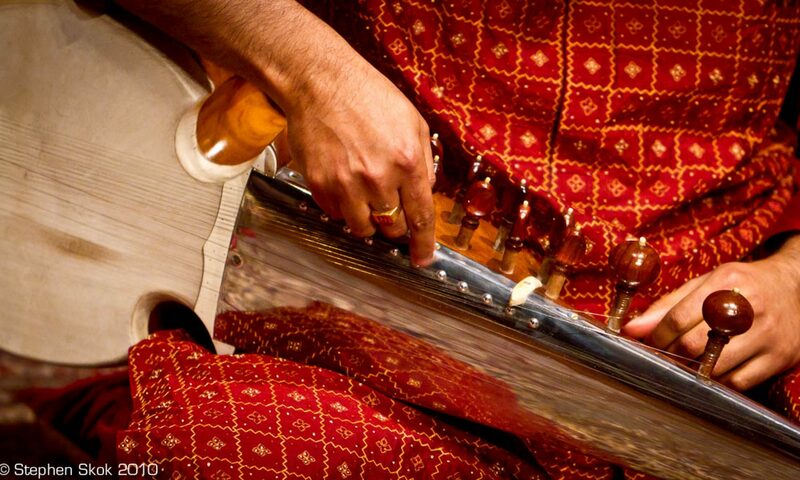 Ragas which fall into this category are largely derived from the Bhairav group of ragas eg. Bhairav, Ahir Bhairav, Basant Mukhari, Gunkali, Nat Bhairav, Ramkali, Vibhas, Bhatiyaar, etc. The Todi group of ragas also provide mid morning ragas eg. Milan Ki Todi, Gujari Todi, Bhupal Todi, Bilaskhani Todi, Desi (Desi Todi) etc. Note that Desi Todi has nothing whatsoever to do with the Todi group of ragas. Legend has it that Bilaskhan, the son of Tansen, composed this Todi variant, Upon Jansens demise, a dispute broke out as to who would be his successor. A contest was organised with all contenders singing next to Tansens body, with the aim of producing some kind of movement in it. Apparently Bilaskhan sang his Todi variant and Tansen’s hand rose in blessing – anointing him his successor ! Bilaskhani Todi is a serene and fragile raga. With the same notes as that of Bhairavi, it can quickly disintegrate if the main emotion of the raag is not adhered to. Bollywood adoption of Bilaskhani Todi comes from the movie Lekin (1990), with the song Jhoothe Naina Bole. Bilaskhani Todi has been unfortunately diluted in several classical performances. The serene but not austere main mood of the raga can be easily compromised by too much embellishment and even some eminent names have done so.